My children have always been my personal champs. 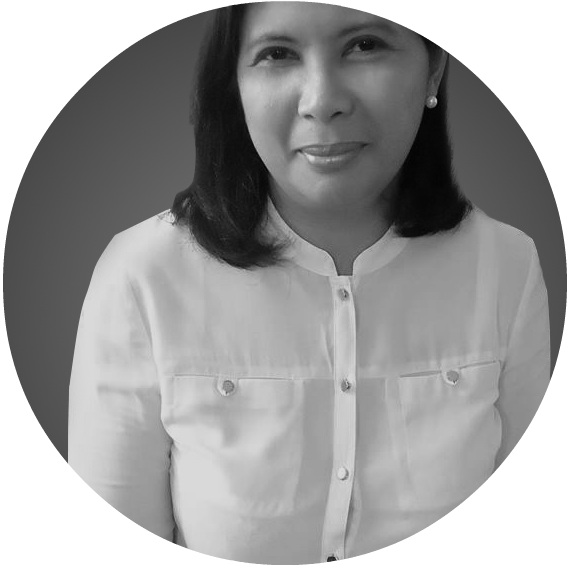 Just like any other parent, it is in my interest to see them attain their full potential at every aspect of their lives. This starts at every waking day of our lives. The start of the day can be a real challenge especially for students like my own two children. This week is more stressful being an exams week for both. 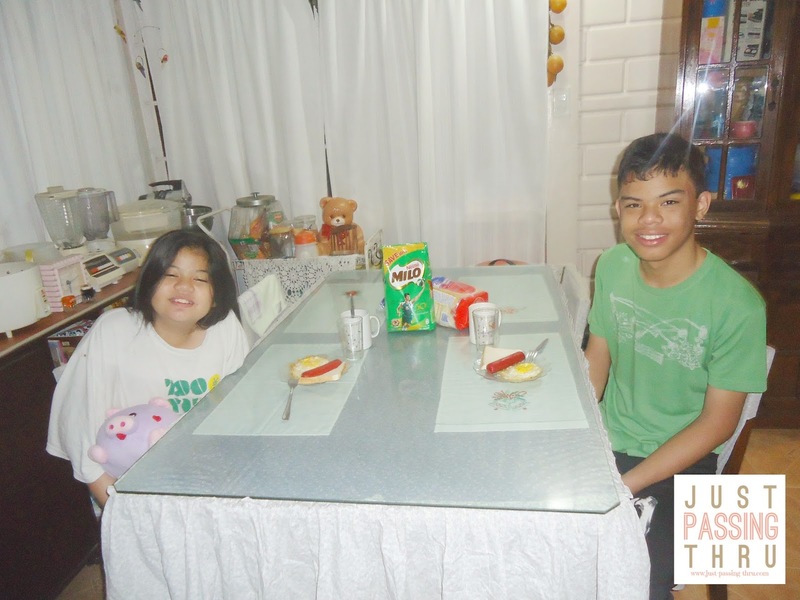 All the more reason to ensure that they start the day right with a satisfying breakfast. Easier said than done though with my youngest daughter who really find it hard to wake up, much more finish her food. But parents need to do what we need to do, right? So I make sure that she finishes her breakfast. It's a good thing that drinking her Milo doesn't require much effort. 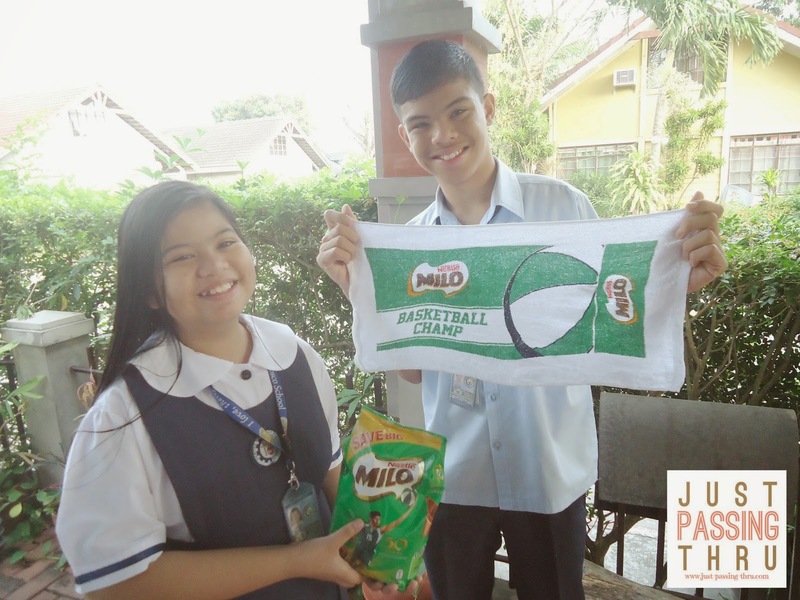 From what I gathered, Milo contains the malt extract PROTOMALT, which is a mixture of different types of carbohydrates that provide energy and nutrients that the body needs. It is also known to be formulated with a combination of malted barley, milk powder, sugar and cocoa, coupled with the goodness of ACTIGEN-E, a combination of B vitamins and micronutrients. That is precisely the kind of energy needed by my children. Everyday, I have to think of something to wake her up with. This morning, I had something special for her to do. 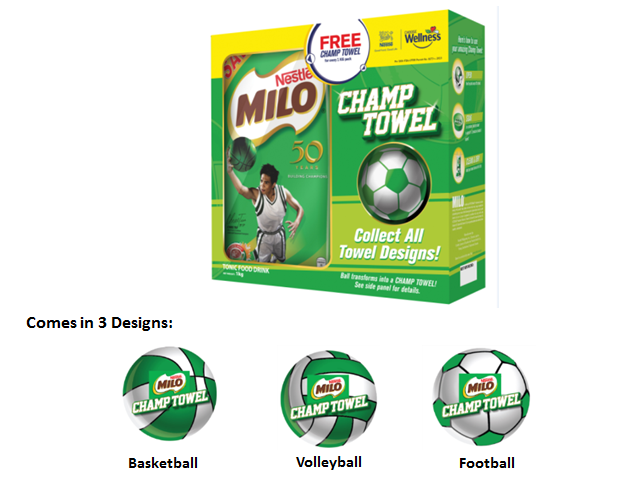 We just bought a 1-kilo Milo pack yesterday that came with a free Milo Champ Towel Ball. I asked her to put the ball in water and see what happens. The transformation from ball to towel surely woke her up, prompting her to ask me if she can get another design. 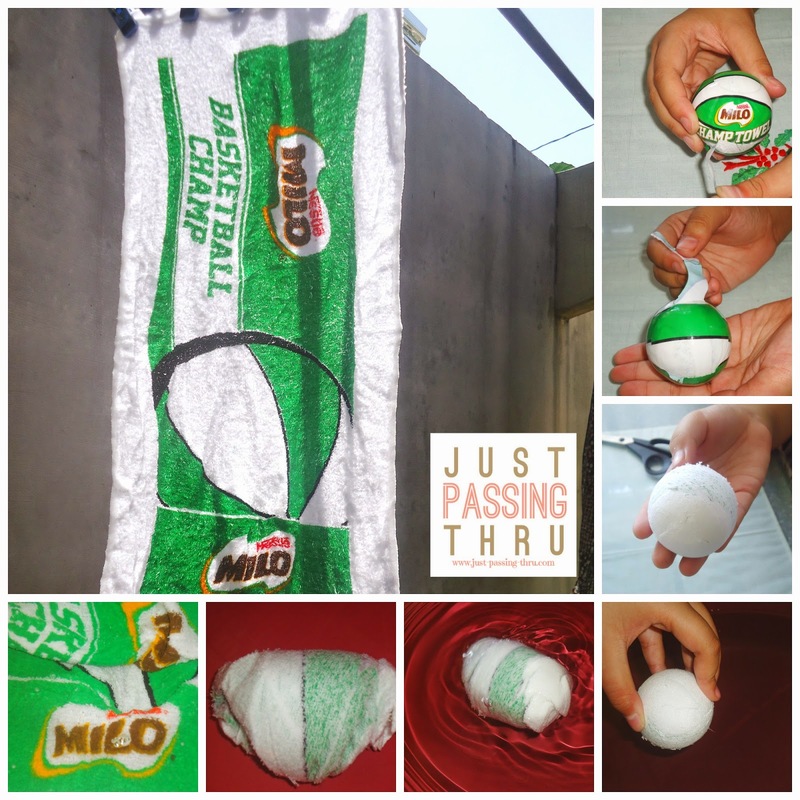 She has already decided right there and then that the towel goes to her brother since it has a basketball design. There are actually 3 designs available. As you can see in the picture below, both my children are all set to go for the morning. They are truly in high spirits as today is the last day of their exams, marking the end of hard work for the school year. It will soon be vacation time but my support for my champs continue as they now put their attention to enhancing another side of their development through recreation and other summer activities. There is one thing though that is not about to change whatever the season, and that is starting the day with a warm mug of Milo.